We all know that the tech giant, Samsung announced its first Android Go Phone back in August 2018. The Galaxy J2 Core was actually a low-end device for the people who can’t spend much money on a new smartphone. A few weeks back, we have come to know that Samsung is now prepping to launch another Android Go Phone. 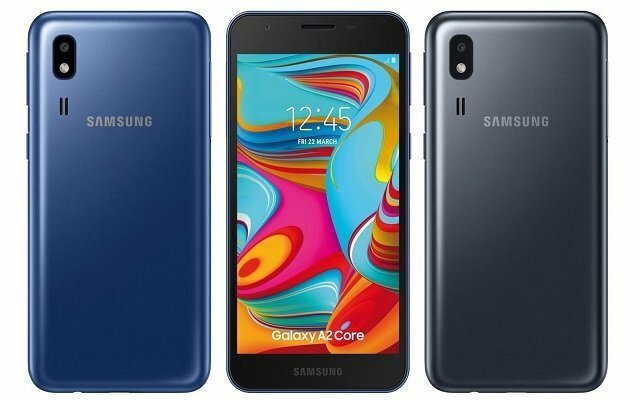 The Samsung Galaxy A2 Core is the next Android Go Handset by the company that will soon make its way to the market. Recently, the detailed specs of the handset surfaced online. According to the newly leaked specs, the upcoming Android Go Phone, Galaxy A2 Core will have a 5-inch qHD (540×960 pixels) display. It will be powered by a 1.6GHz octa-core Exynos 7870 SoC, paired with 1GB of RAM. The upcoming phone is tipped to have 8GB of onboard storage that is expandable via microSD card. In terms of photography, it is being claimed that the upcoming smartphone will have a 5-megapixel camera sensor at the back along with an f/1.9. There had been no words about the selfie snapper yet. 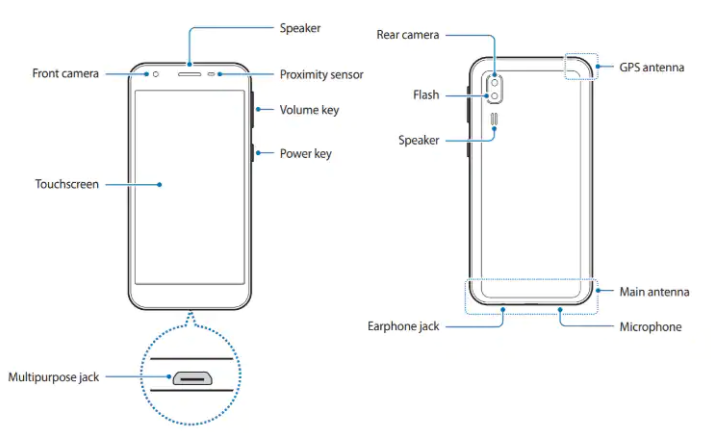 The Samsung Galaxy A2 Core will also sport the basic connectivity options, including 4G LTE, Wi-Fi 802.11 b/g/n, Bluetooth v4.2, GPS/ A-GPS, FM radio, Micro-USB port. Furthermore, it will come with a 3.5mm headphone jack. The handset will come with a 2,600mAh battery to keep the lights on. Moreover, the handset is tipped to have dimensions of 141.6x71x9.1mm and a weight of 142 grams. In addition to all this, the Samsung Galaxy A2 Core will have large-enough bezels on the best and bottom of its display panel. However, it will have a simple back panel with the camera setup featured at the best-left corner. The handset will run the Android 8.1 Oreo (Go edition) along with preloaded lightweight apps, including Google Assistant Go, Google Go, and Maps Go straight out of the box.